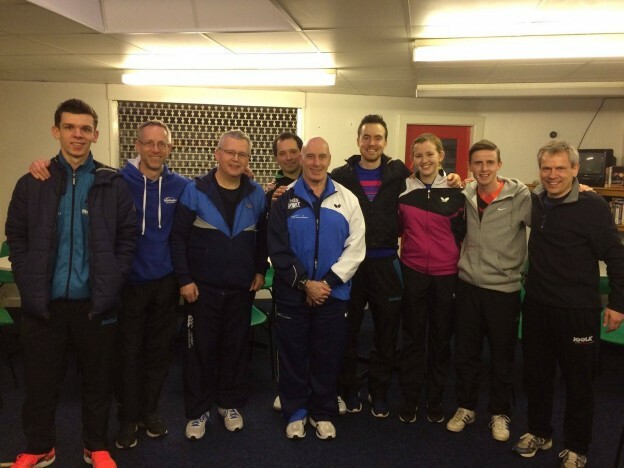 North Ayrshire TTC are delighted to add more qualified coaches to our already growing coaching team with 5 new UKCC Level 1 coaches and 3 new UKCC Level 2 coaches. Joshua Griffiths, Kayser Collins, Robin Wilson & Owen Wilson who are all S5 / S6 pupils at St Matthews Academy & Greenwood Academy recently completed their level 1 course alongside Arran resident Gordon Provan who North Ayrshire TTC will be working with to grow table tennis on the Isle of Arran in the up and coming months. St Matthews Academy pupils Joshua & Kayser have been volunteering on weekly basis delivering table tennis sessions in their own school and local primary schools to pupils during their lunch break and after school. Richard Main, Andy Macpherson & Jill Taylor passed their UKCC Level 2 course in a professional fashion and are all heavily involved in delivering a range of coaching through our successful junior development programme. Richard is delivering new sessions at West Kilbride Community Centre every Friday night and is open to anyone of any age and ability, 7-8pm for seniors and 8-9pm for juniors. This entry was posted in Latest News on 5th April 2017 by Chris Main.